Front row, from left: Professor Dr Lam Sau Kuen, Emeritus Professor Dr Boo Nem Yun, Emeritus Professor Dr Cheong Soon Keng, Professor Dr Zhang Hai Ying, Associate Professor Dr Yang Hai Bo, Dr Shen Yan Hua, Dr Guo Xiao Yun and Dr Mao Xing Ning. Back row, from left: Dr Wong Jun Leong, Professor Dr Swaminathan a/l S Manickam, Professor Dr John Paul Evangel Judson, Associate Professor Dr Robert Chen, Associate Professor Dr Thaw Zin, Dr Zhao Yang and Dr Jia Wen Guang. Emeritus Professor Dr Cheong Soon Keng, Dean of the Faculty of Medicine and Health Sciences (FMHS), accompanied by Deputy Dean for Academic Development and Undergraduate Programmes Emeritus Professor Dr Boo Nem Yun, Chairperson for Centre for Research on Non-Communicable Diseases Professor Dr John Paul Evangel Judson, Professor Dr Lam Sau Kuen, Professor Dr Swaminathan a/l S Manickam, Associate Professor Dr Robert Chen, Associate Professor Dr Thaw Zin and Dr Wong Jun Leong, visited Guangxi Medical University in Nanning, Guangxi, China on 31st October 2018 to promote further research cooperation, as well as to discuss collaboration opportunities and exchanges under the “Belt and Road” initiative. The team was warmly welcomed by Professor Dr Zhang Hai Ying, Director of the Department of International Cooperation and Exchanges, Dean of the School of International Education, Associate Professor Dr Yang Hai Bo, Deputy Director of the Department of International Cooperation and Exchanges, Vice Dean of School of International Education and lecturers. 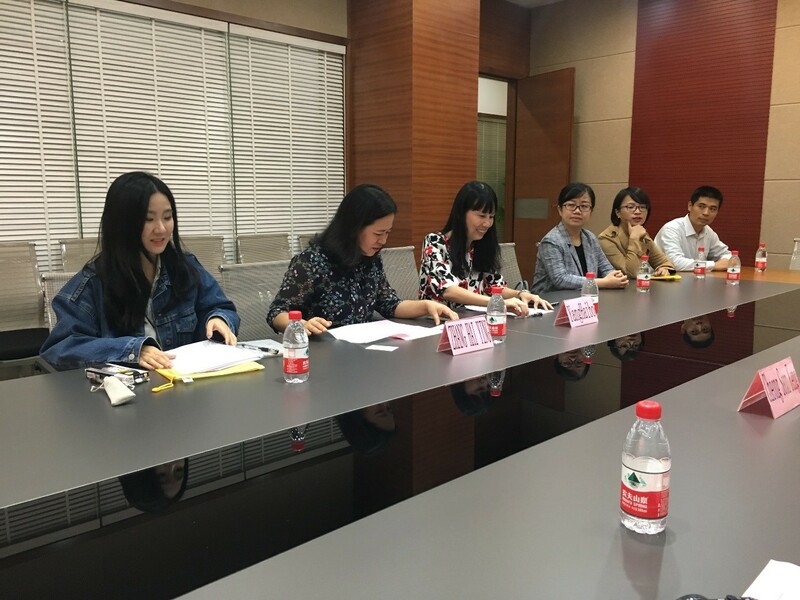 In her welcome remarks, Professor Dr Zhang introduced the history of Guangxi Medical University, the background of the School of International Education, the dual streams (Chinese Medium and English Medium) of the MBBS programmes, and the new policy and expectation on oversea training programme for the local staff. The University is interested to continue sending their medical staff to spend some time in the UTAR Campus. In Professor Dr Cheong’s speech, he encouraged both sides to carry out staff and student exchanges. 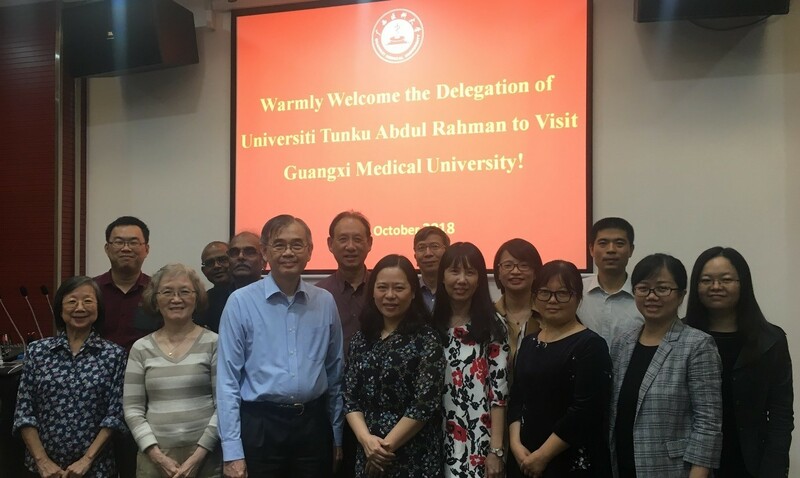 He also welcomed the Guangxi Medical University lecturers to have longer duration of training in the UTAR to strengthen their English language skills in Medical Education. During the experience sharing session, lecturers who attended previous training in the FMHS,UTAR shared their post-training teaching experiences on the application and integration of the skills, technology, and methods learnt during their training in the UTAR. Both parties conducted some in-depth analysis and discussion on the problems and challenges encountered. 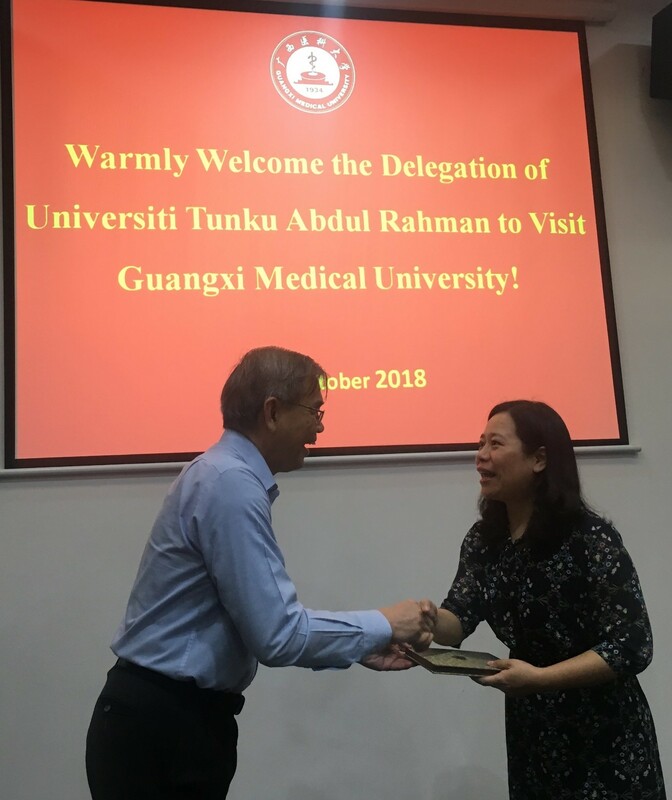 The discussion also included the directions and plans for future collaborations between the FMHS, UTAR and Guangxi Medical University.